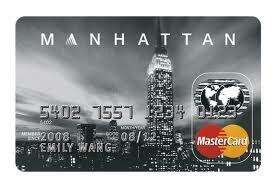 If you’re into credit card promotions, the Standard Chartered Manhattan Card should be very familiar to you. Upon hitting the right expenditure level, you’re entitled to a 5% cashback. Yes, the bank is returning you $5 for every $100 you charge to this credit card. Well indeed there is no free lunch, and the catch here is that you need to spend >$3000 in the billing month, and the cashback is capped at $200 per quarter. The simple consumer psychology behind this – Standard Chartered Bank wants you to swipe your card more often to hit your $3000 target so that they make more from the transactions. In return you benefit with the 5% cashback; but if you’re starting to swipe for things that you don’t actually need, then you’re falling right into their trap. I don’t know about you but I do not like falling into traps. Now I am definitely not in the high-roller club and $3000/month of expenditure is unimaginable for me. For this reason, the 5% cashback deal may not seem appealing at all. However, lifehacksg#1 suggests otherwise. How can you secure the 5% cashback without needing to increase your discretionary expenditure? Let’s use a working assumption that the average monthly utility bills for a family of 4 total to $250. What utility companies allow in Singapore is for you to prepay your bills in advance, any amount at all. What this means is that you are allowed to swipe your Manhattan card in January to pre-pay for 12 months ahead. 12x$250 totals to $3000, which is requirement needed to gain a 5% cashback with the Manhattan card. With this one simple act, you effectively get a 5% discount on your annual utility bill. That’s $150 of cash that you can spend on anything else at all. This lifehack works with phone bills as well. Although with an assumption of a $60 monthly bill, a $3000 prepay will set you locked in for 50 months. This may not be wise if you’re looking for flexibility among service providers. p.s. there could be readers out there who prefer to obtain points instead of cashback, but personally I think cashback makes a lot more sense.